Read below user reviews and testimonials of Folder Protect. This application works great for me. I don’t really have to do much except click on a few buttons and voila! My data gets protected. Folder protect is a data/folder protection application that works great even for users with very little tech know-how. An easy to use software all along. I find Folder Protect an easy and efficient product. As a journalist, I have many confidential files which I do not want to allow easy access to. But what I particularly commend is the level of service, which is far more prompt and intelligent than the support I get from other products I buy in different continents. And they do not give up easily, but work really hard to resolve issues. Fastest And Reliable Application For Delete Prevention! I have tried many software just to protect some of my files from deletion but could not find anything that can do so Except Folder Protect. I locked my files with Folder Protect by applying delete proof protection to make them delete proof. I also locked some of the applications that I downloaded from the internet as I do not want anyone else to use them, so i make them inaccessible for everyone. NO doubt Folder protect is an amaizng software. Well so many things to list down here but the most amazing thing is its multi level protection. 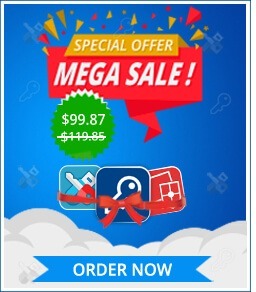 I think no other locking software offer such type of protection where you can choose what and how do you want to protect your data. Even the evaluation version has so many features. This is a must buy app! Affordable And Reliable Locking Software! Unique locking tool. must have it! highly recommended! It locks and hides all type of data very well and is quite unique in its functionality as it can prevent deletion of protected data. i would highly recommend it. The user interface may get a bit confusing but once you get familiar with its function it become easier to operate. Very powerful program nevertheless. Data Protection With Anti-Delete! WOW! I like its delete proof security. Really useful software. I would recommend it to anyone who needs data protection as security for their files. Perfect Security, Does Exactly What It Says! I love the simplicity of Folder Protect. It is easy to use and highly secure for my files and folders. The auto protection feature is great, even in idle mode too. Now I am free from worrying about my data being stolen. With features like Write-Protect, Stealth Mode, and Access-Protect, hackers and unwanted prying eyes are definitely going to have a bit of a trouble accessing our data. I like the concept of customizing the security levels for each file, folder or drive. Mostly locking software do not allow you to choose among levels of security. Folder Protect not only provides you this option, but also does it very well.